Navigating the cramped and hilly streets of the California Bay Area is easier with a compact vehicle. Here at Carlsen Subaru, we want to make sure you're behind the wheel of the right one. As emissions and fuel efficiency standards tighten, the field of compact cars has gotten crowded. There are many imitators but there's only one compact hatchback and sedan model with standard all-wheel drive and budget bolstering fuel-economy: the Subaru Impreza. To see how the Impreza surpasses the competition, keep reading! Then, come test drive the newest Subaru Impreza at Carlsen Subaru! 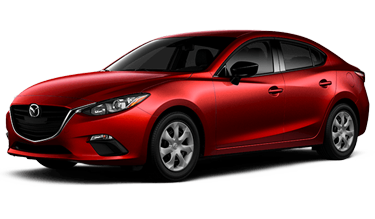 While both the Subaru Impreza and the Mazda 3 are available in sedan and hatchback body styles, Subaru does both body styles better! You'll choose the Subaru Impreza sedan for more front head and leg room than the Mazda 3 or choose the Impreza hatchback for more cargo space behind the seats and more maximum cargo space with the seats folded down than the Mazda3 hatch! Plus, while the Mazda 3 is stuck in front-wheel drive, the Subaru Impreza comes standard with road gripping Symmetrical All-Wheel Drive. That's not all--features like available leather steering wheel and shift knob, automatic headlights, fog lights, and much more. If you're wondering how the Subaru Impreza out-performs the Mazda 3, we've got three words for you: all-wheel drive. When you're climbing the hills of San Francisco, you need to know your vehicle can make it up. You can't always depend on front wheel drive the way you can depend on the Symmetrical All-Wheel Drive system that comes standard in every Impreza. Plus, the Subaru BOXER® engine and continuously variable speed automatic transmission work harmoniously for swift acceleration and efficient performance. 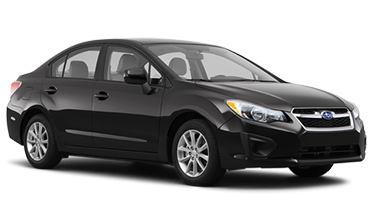 While both the Subaru Impreza and the Mazda 3 can be equipped with the latest in safety equipment and driver friendly technology, the Subaru Impreza is intuitive and perfect for your needs. In addition to its standard vehicle dynamics controls, antilock braking, and rearview camera, the Subaru Impreza can be equipped with lane departure warning and forward collision mitigation with automatic braking for the ultimate in safety. Other unique Subaru features include the Bluetooth phone and audio connectivity, Aha smartphone apps, automatic headlights, touchscreen interface and more.